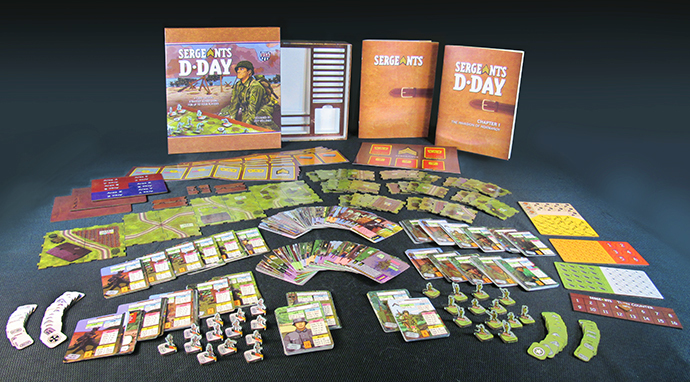 Sergeants D-Day is Sergeants with all the richness of the soldiers, story, and tactics. However, the scale is somewhat smaller from our Miniatures game. 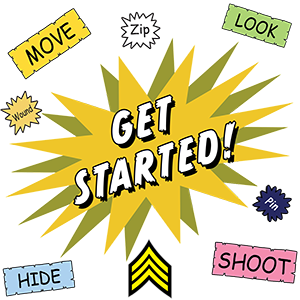 In Sergeants D-Day the timescale is just a little longer, the movement more sweeping, allowing you to determine the approach to the moment of decision. 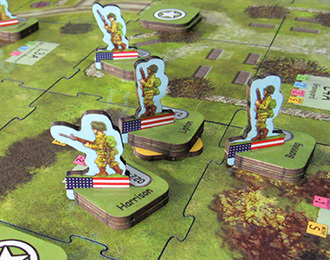 Sergeants D-Day plays more quickly and covers more ground while maintaining the skirmish point of view of the battlefield. You and your friends lead full squads of troops in battles as massive as a platoon against platoon, all in an easy to play fast-paced format that can fit on your kitchen table! Sergeants always has unique soldiers; no two of them are ever alike! Not only in name and serial number but mannerisms, skills, and abilities - made even richer with courage and faults, all expressed in the form of the soldier’s cards. When choosing your squad for a mission, you will put together all of their respective Action Cards to create your “Action Deck.” The map contains vital information that works with both the Story deck and players Action decks for quick and easy gameplay. The map, counters, and figures are made from a durable, high-quality material that will last for years to come.